Preheat the broiler on high. Halve grapefruits. Trim 1.25-cm/0.5-inch from the bottom of each grapefruit half to stabilize it, if necessary. Score the segments to loosen for easier eating. Place the halves cut side-down on paper towel to dry for approx. 5 min. Turn the grapefruit halves cut side-up onto a baking sheet, lined with foil if needed, and sprinkle each one evenly with cane sugar. Transfer to oven and broil for approx. 6 min., until caramelized, watching carefully so that they don’t burn. Meanwhile, beat mascarpone, heavy cream, and vanilla sugar until soft peaks form. Roughly chop pistachios. 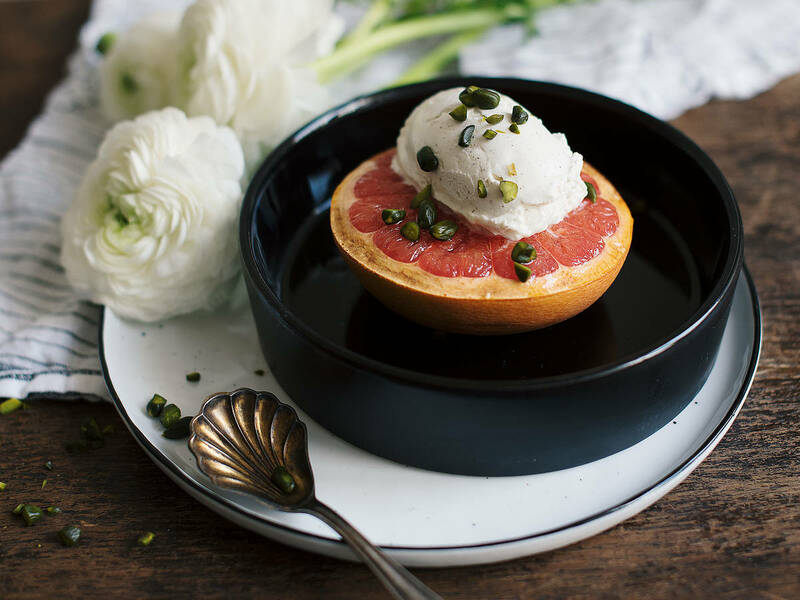 Serve each grapefruit half with a dollop of whipped mascarpone cream and chopped pistachios. Enjoy!